Whitehall was the Cumberland home of the wealthy merchant and philanthropist George Moore. Anthony Salvin, the foremost restoration architect of the time, built Whitehall for George Moore in 1861. It replaced an earlier house on the site (scroll down for details) but the pele tower, which George had climbed as a child, is original. 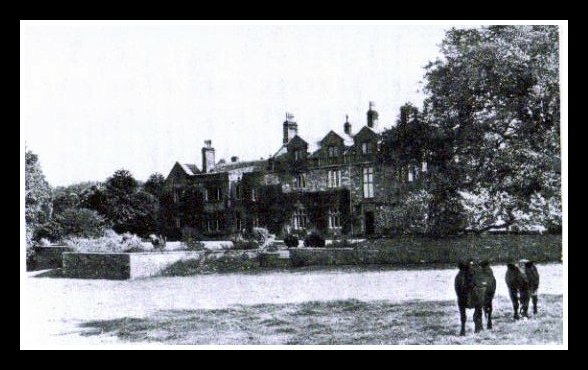 Later George Moore farmed the Whitehall Estate, specialising in shorthorn cattle but he was far less successful in this enterprise than he was in the world of commerce. He admitted that the cattle were a great anxiety and that he lived in dread of foot and mouth disease. Nothing new there then! In 1875 he sold the herd making an overall profit, such that he gave his farm servants 50 guineas and put 100 guineas in the AllHallows Church collection the following Sunday. Although George Moore had purchased The Whitehall Estate for his first wife as a summer residence she died in 1858 prior to the house restoration. George Moore married his second wife, Agnes Jane Breeks at St. Pancras Church on 28th November 1861 and she took a great interest in Whitehall, printing for private circulation in 1865 a book which she wrote about the history of Whitehall and including these engravings which are attributed to her. During World War II years, Whitehall was home to St Aubyn's, a preparatory school evacuated from Woodford Green in Essex when their own premises were requisitioned by the military. Today, what remains of Whitehall itself is, I believe, owned by the Parkin-Moore family, descendents of George Moore's sister, Mary. This is now a holiday home and can be rented. The Coach House and stables became The Coach House Swiss Restaurant which is now sadly closed and the building is currently being re-developed by Lattimers Building Company according to this newspaper article. It was after the death in 1937 of William Parkin-Moore who inherited The Whitehall Estate from his great uncle, George Moore that the Estate was sold off and the House fell into decline, most being eventually demolished under the auspices of the Council who had acquired the listed property, I understand, by compulsory purchase. In 1965 what remained of Whitehall was bought back from the Council by William Arnold Parkin-Moore, grandson of William Parkin-Moore. He undertook some restoration of the surviving Pele Tower, with further refurbishments taking place in the 1980s by which time the property had passed to his widow, Susan Parkin-Moore (as Trustee) and his son David Parkin-Moore. The Manor of Whitehall in earlier times belonged to the Percys. Subsequently it was the property and residence of a younger branch of the Salkelds, of Corby. The last of this family was Henry Salkeld, Esq., who, dying without issue, the Estate became the subject of a long Chancery suit, and was at length awarded to the Charltons of Hesleyside, Northumberland, who claimed their descent from Margaret, daughter of Frances Salkeld, Esq. The old manor residence by now a farmhouse, appears from a date in the wall to have been built in 1589. The pele tower supposedly dates back to the reign of Henry 1V. 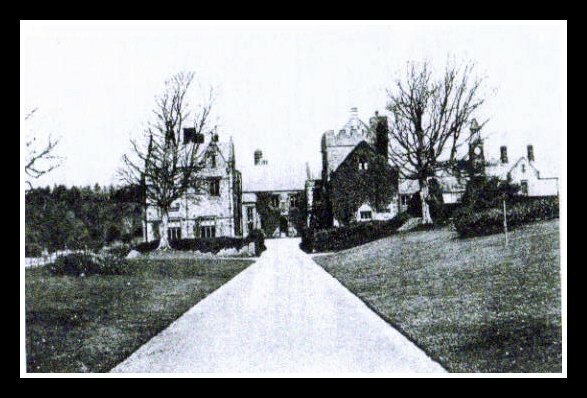 As stated above, in 1861 the house was restored and enlarged by the late George Moore and his second wife, Agnes Jane Moore, produced in 1865 a book for private circulation entitled 'Whitehall in Cumberland' which details the history of the Estate and included engravings attributed to her. The pictures below give an idea of what Whitehall was like at the time of its sale after the death of William Parkin-Moore in 1937. In the auction sale catalogue Lot 1 is described as An Attractive Residence, with Pele Tower, containing briefly:- Entrance Hall, large Dining Hall, 3 Reception Rooms, Billiard Room, Smoke Room, 13 Bedrooms and Dressing-rooms, 3 Bathrooms and W.C.s and 6 Servants' Bedrooms, Kitchen, Servants' Hall, Larders, Scullery, Cellars etc. The Outbuildings include two large heated Garages, Garage with Inspection Pit, excellent range of Stabling and Loose Boxes, Coach House and Harness Room with Lofting over same, Dog kennels etc. The Garden and Grounds comprise Tennis Court, Lawns and Flower Gardens, productive walled-in Kitchen gardens and Greenhouses. Two Lodges, each containing 5 Rooms and Outoffices. A small compact set of Farm Buildings and Dwelling House known as Hall House situate in the Grounds. The Dwelling House contains Kitchen, Sitting-room, Pantry, 3 Bedrooms etc. The Outbuildings consist of Loose Box with Loft over, Barn, Byre for 8, 3 small Cattle Boxes, Boiler House and 4 Piggeries. All with 76 acres of fertile grazing land and 31 acres of gardens grounds and woodlands. This Lot ultimately achieved a price of £3,500 at the auction held by Messrs W. Hope & Sons of Wigton at The Crown and Mitre Hotel, Carlisle on 20/11/1937 and was knocked down to Mr Thomas Eilbeck of Aspatria. In the same sale Lot 2 Cockbridge House etc. was sold for £2,025 to Mr R H Tinniswood of Dalston and Lot 3 Mealsgate Farm etc. went to Mr George Raven of Priestcroft for £1,500. Less than twenty years later, in the 1950s most of the mansion house was demolished. When George Moore lavishly re-built Whitehall in 1861, he must have thought that it would last forever whereas, in fact, it proved rather ephemeral surviving, as it did, less than a century. What a great pity! It would have been a wonderful restoration and preservation project for the National Trust, especially with such a fascinating history attaching to it and there being so few National Trust properties in this locality.